I’m excited to share with you the publishing of NetApp Technical Report (TR) 4506: Red Hat OpenStack Platform 8 on FlexPod! If you’d like to deploy the very latest version of Red Hat OpenStack Platform easily, and in an automated and highly available manner on FlexPod, this document is for you! We’re also proud to contribute customized Heat templates and shell scripting code upstream to Github to help you deploy this solution faster and with less problems! This is the very same templates we’ve used to deploy Red Hat OpenStack Platform 8 on FlexPod in our lab! This document represents an enterprise-grade open hybrid cloud foundation that helps you to deploy OpenStack on an enterprise-class converged infrastructure (FlexPod) built with NetApp® FAS and E-Series storage, Cisco® UCS servers and Cisco Nexus switches, and Red Hat’s OpenStack Platform. Context and Technology Overview as to why FlexPod represents the best enterprise-class converged infrastructure platform for OpenStack deployments. Detailed implementation instructions on how to bring up and configure an E5660 dual-controller storage system and prepare it as the backbone for a highly available and resilient OpenStack Object Storage deployment. Finally, we also take advantage of the OpenStack Rally project (Benchmark-as-a-service) to demonstrate the advantages and value proposition of using NetApp storage and NetApp software (our Unified Cinder driver for OpenStack) together for a higher performant, space efficient storage foundation for your OpenStack cloud. Purpose built applicances for OpenStack like the FlexPod converged infrastructure platform contain best-of-breed physical infrastructure and software integrations in OpenStack that help you go further & faster to rolling out OpenStack for Production Deployments versus traditional, do-it-yourself deployments. 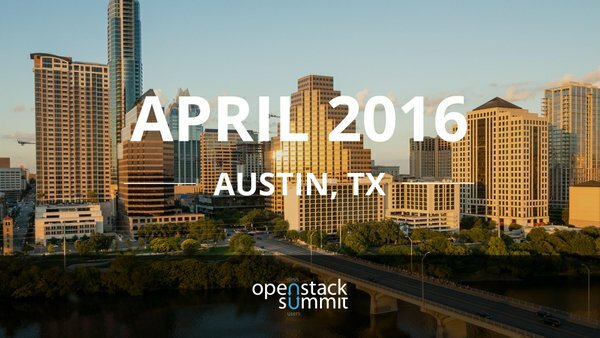 If you’re going to be at the OpenStack Summit this week in Texas, here’s a comprehensive listing of sessions that NetApp and SolidFire are speaking at here. Also feel free to stop by the NetApp & SolidFire booth (#A38) and see me and my colleagues while you’re there at the Summit. I hope this reference architecture and associated solution documentation is useful for you. Please feel free to leave comments in the section below! RHEL-OSP6 FlexPod CVD: Design Guide — Design elements of deploying Red Hat OpenStack Platform 6 (based on OpenStack Juno) on FlexPod. This prevously released document includes integral design elements to the overall solution as well as why technology chosen in the architectural design represent the best choice for a deployment. RHEL-OSP6 FlexPod CVD: Deployment Guide — is a step-by-step, detailed implementation guide giving full steps on implementing Red Hat OpenStack Platform 6 on FlexPod. Also included is a subset of the Design Guide in order to provide necessary context for the Deployment Guide.